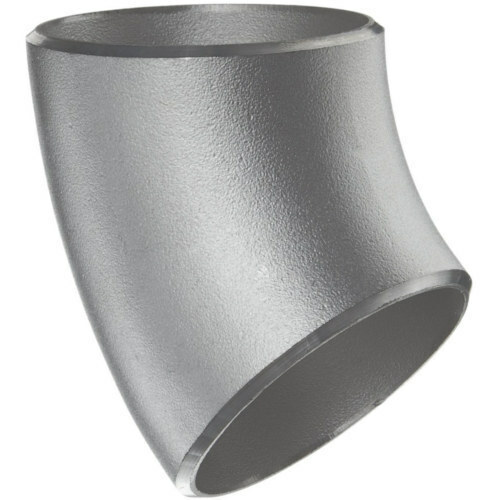 Aesteiron is45 Degree Elbows Manufacturers & Suppliers. We are offering premium quality 45 Degree Elbow / Stainless Steel Elbow / Mild Steel Elbow / Carbon Steel Elbow. We manufacture these elbows by utilizing quality-approved material under the supervision of professionals. Post production, we check these elbows so as to ensure their flawlessness. Nickel Alloy45 DegreeElbow; ASTM /ASME SB 336, Hastelloy C276, Nickel 200, Nickel 201, Monel 400, Alloy 20, Inconel 625, Inconel 600, Inconel 601, Inconel 825.